Welcome to Thursday, one step closer to the weekend. 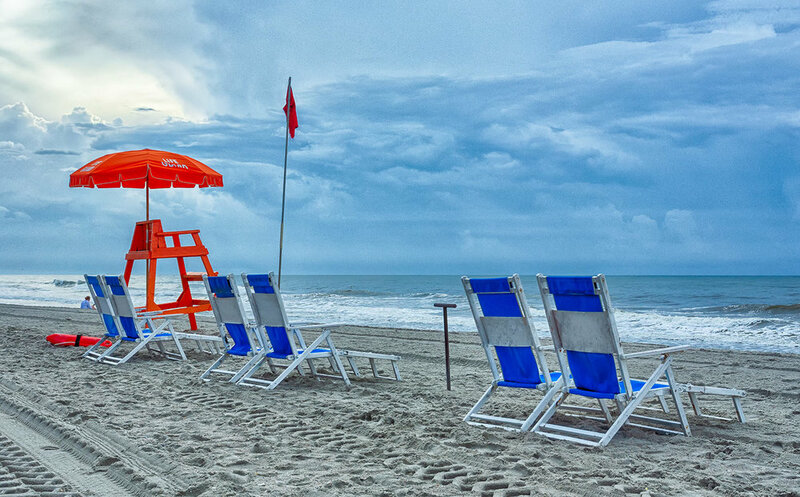 Although most social platforms consider Thursday to be throwback day to post images or what not from past events, my blog entry for today is not a throwback blog, but rather another posting from our vacation this past summer to Myrtle Beach, South Carolina. 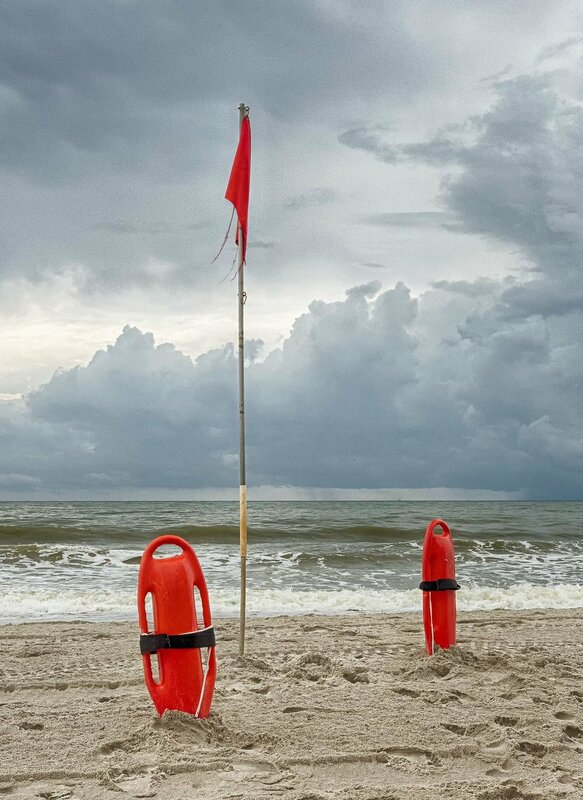 While my wife are not beach people, each day of our vacation we seen the lifeguards up and down the beach at the beginning of their shift set out beach chairs and umbrellas and put them away at the end of each day. For first few days of our stay, I was too lazy to go down and make some photographs before the chairs became occupied with beach goers until about a third of our way into our vacation. Prior to going down to the beach it was sunny and bright, but by the time I hit the beach with my camera the sky had become cloudy. I was not happy with most of the results since the colors of the umbrellas were sort of flat and blah, but I did manage make a few photographs on my first attempt roaming the beach. Below are a sampling of the photographs I created. I struggled editing this photo given everything was kind of flat do to the cloud cover. I am still not 100% happy with the end result. This one lended itself to monochrome. The colors were flat on this one as well, but when I converted it to monochrome it turned out good. I just love the clouds in this photograph. There were two lifeguards setting up the umbrellas and the beach chairs and they set their rescue cans into the sand. I took a few different shots at a couple of different angles and this turned out the best. On the back side of the beach were some dunes that had beach grass growing. Walking along the path I could see the empty beach chairs off in the distance through the grass. A couple more beach chairs as seen through some beach grass. Thanks for viewing my non-throwback Thursday post for this post hump day post. Please feel free to leave comments or questions below. Thanks! This year my wife and I went to Myrtle Beach, South Carolina at the end of July for our vacation and to celebrate our 12 year wedding anniversary. We stayed at the Sea Glass Tower right in the heart of Myrtle Beach and right on the ocean for one week. It was a hot and steamy week with some sort of rain every day we were there. 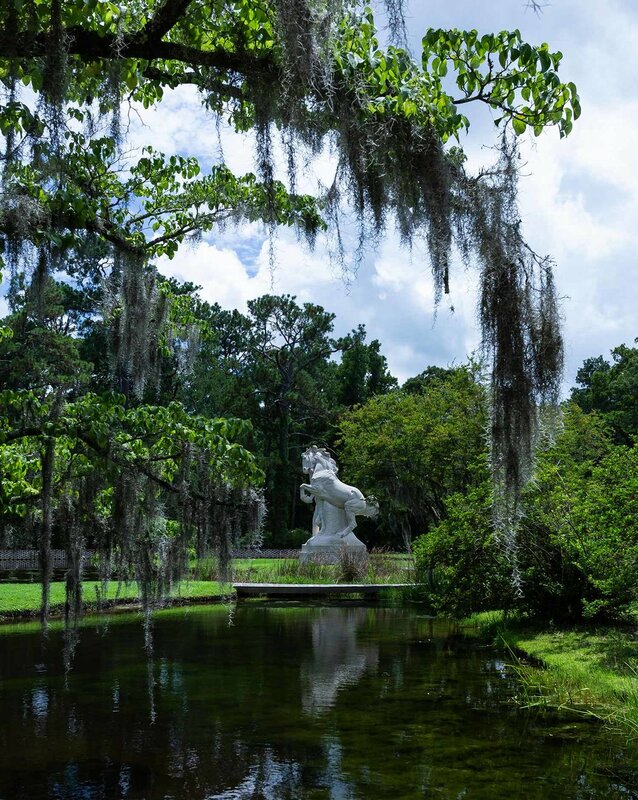 One of the places we visited was the Brookgreen Gardens. More information about the gardens can be found here. We were unsure of what to expect on our visit to the gardens, but we ended up visiting a total of two times since there was so much to see, plus the admission was good for one week. 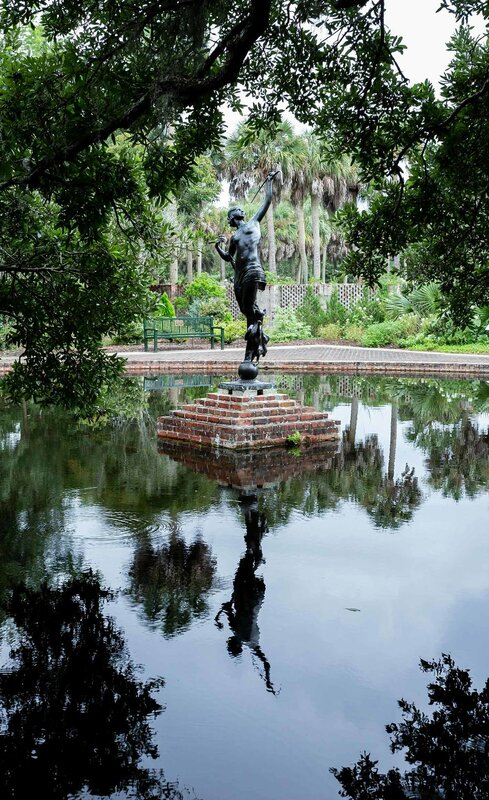 If you decide to go, be sure to take the free guided tour of the sculpture gardens. 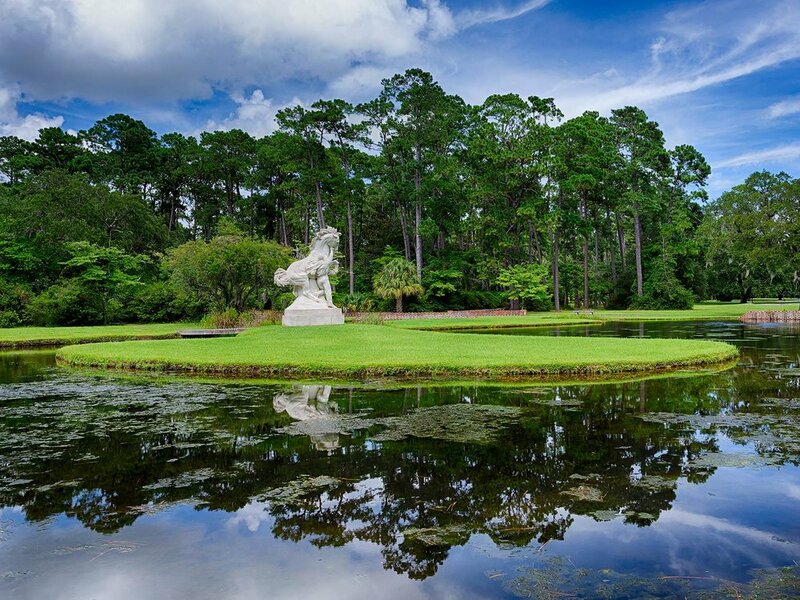 The sculpture garden tour is so worth your time to learn about the sculptures and the property. Below are some of the photographs I made on our visits. Our tour guide warned us not to put our fingers into the water because the various pools around the grounds are known to have alligators in them. Rather large, old oak trees. Very impressive sight to see. The oak tree branches were covered with resurrection ferns. The guide told us that the ferns don’t harm the trees. A limestone sculpture by Anna Hyatt Huntington. Another view of the sculpture. Thanks for viewing my photographs. Please feel free to leave any comments below.